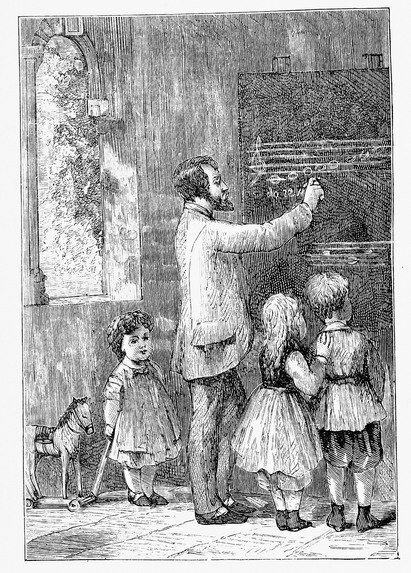 Three small children stand at the chalkboard with their music teacher learning the notes of the scale. The youngest child is holding on to a rocking horse pull toy, adding a bit of charm to this vintage, black and white music image. Unfortunately, the illustrator was not identified by the publishers Hall and Whiting of Boston. The engraver was Samual E. Brown, who died before the book was published in 1882.